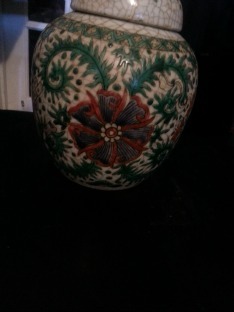 purchased from antique seller, already sent supposed kangxi marks, now sending a picture of tea jar. 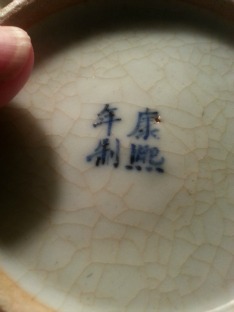 The last character of the mark is not the one that is used in Qing dynasty Kangxi marks. 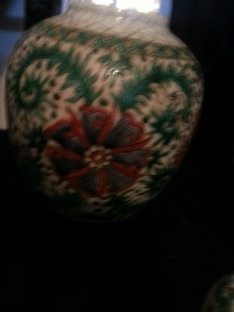 I also think that decoration, both colors and pattern are something from the late 20th century. 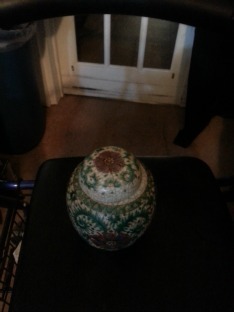 These pictures are insufficient to evaluate if the body itself could be older than the decoration, but usually the age of the latter is valid for the age of the whole item, if they are from different times.